PETERBOROUGH have captured the signing of former Australian Champion Rohan Tungate to complete their revised line-up. The 29-year-old joins the Panthers after spending the last season-and-a-half with Belle Vue, during which time he increased his Premiership average from 4.68 to an impressive 7.61. 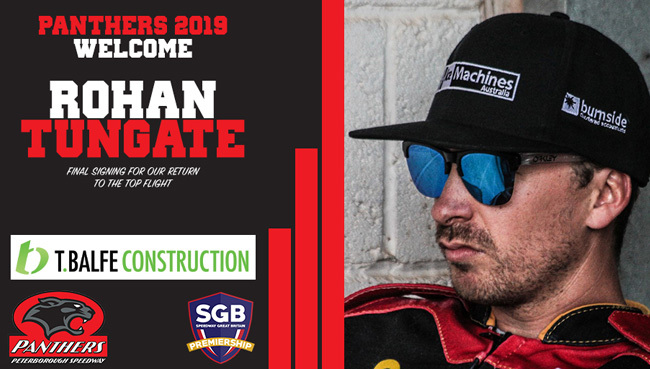 That means Tungate will start the campaign in the No.1 position at the East of England Arena, and he joins British star Craig Cook in making the switch from Manchester. He has been a regular in the UK for the last seven seasons, having had spells with Ipswich, Poole, Swindon and Somerset and Belle Vue prior to his latest move, winning two domestic titles and two Cups over that time. Tungate had to settle for runners-up position to his ex-Aces team-mate Max Fricke in this year’s Australian series, but he finished the schedule with a blistering unbeaten showing in round five at Kurri Kurri. And now after fearing he would be left on the sidelines in British Speedway, he’s delighted to now be heading to Alwalton. He said: “I’ve always liked Peterborough. It’s a good track and it’s one that suits me a lot, so I’m really looking forward to riding for them. “Hopefully I can do a good job. I think the team looks really good, and I’m just going to go out and do the best I can for them. “I felt great in the Australian Championships. I had a bit of a job to do in the last round but I knew what I had to do, and it all went to plan so I can’t really complain about that! Tungate’s arrival adds further spice to the early stages of the campaign, as both he and Cook go up against their old club in the first week. 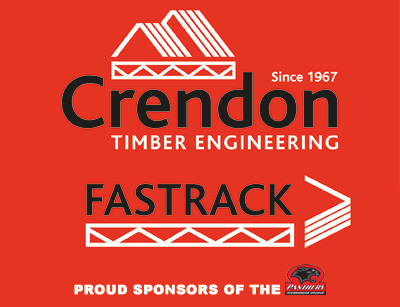 Panthers host Belle Vue in the opener at the East of England Arena on Monday April 1, with the return fixture at the National Speedway Stadium three nights later.